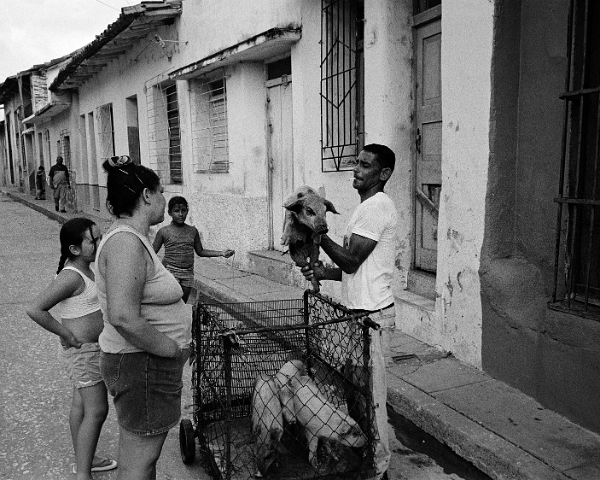 Baby pig seller, Sancti Spiritus. This pig will be the household garbage disposal until it grows large enough to be featured at a fiesta. Then it will be replaced by a new young pig.